Northumberland is a unique place. An area of outstanding natural beauty, filled with wild national parks, starry skies and sugary soft beaches, there is an almost endless number of things to do in this rugged region. To help you plan your trip, we’ve therefore put together a list of unique and affordable things to do in Northumberland; ensuring any adventure you have here is one you won’t forget. Watching the virtual car move steadily along the cracked screen of my aged SatNav, I began to feel restless. My legs were pressed against the camera cases and pile of coats that Laura had crammed inside my small Fiat 500. Three hours into our journey, and having just passed the most northerly point of England that I’d ever visited (Leeds), I was beginning to wonder if our trip to Northumberland was in fact a quest for Narnia: a mysterious, fog-shrouded place that had somehow alluded me for 32 years. I glanced back at the SatNav as the little car edged forwards. Two hours to go. 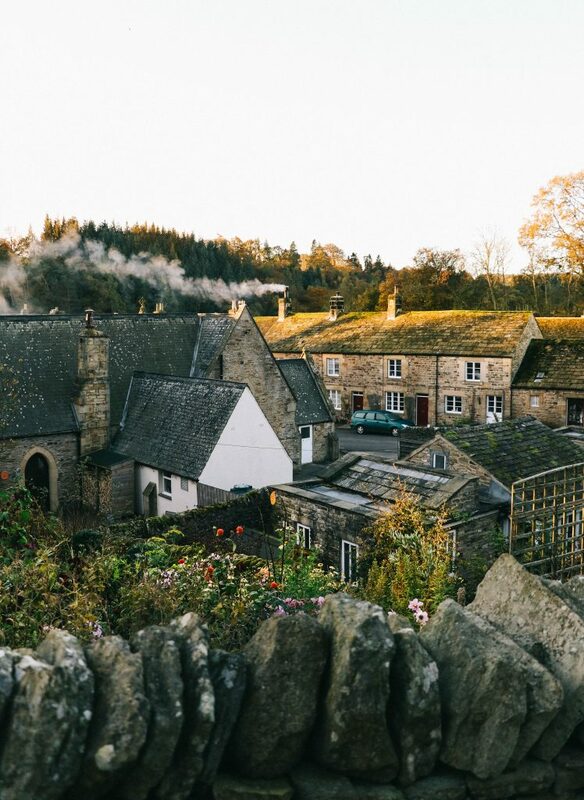 Bordering Cumbria, County Durham and the Scottish Borders, Northumberland is the least populated county in England, with just 62 people per square kilometre. To the east of the county lies a 64-mile stretch of windswept coastline, whilst nestled at its heart lies the rugged landscape of the Northumberland National Park. It’s this geographical diversity that had first tempted us here; ensuring we chose Northumberland as our destination of choice as part of our Visit England ambassadorship. 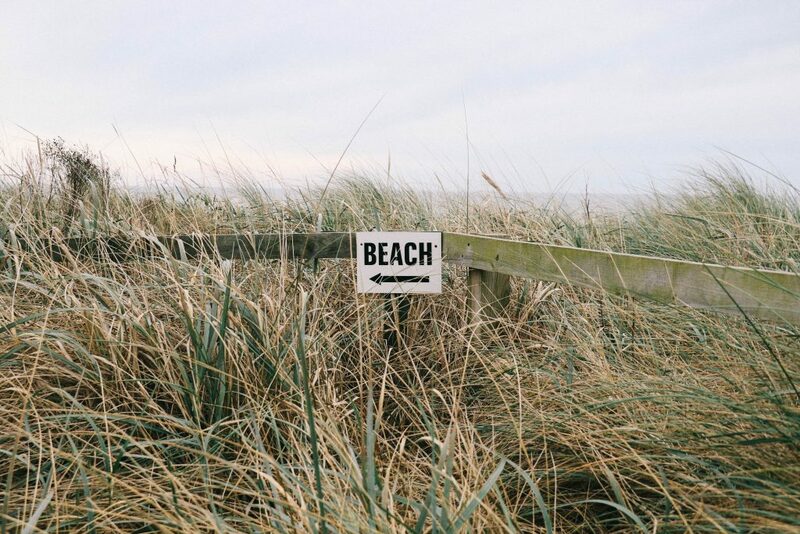 Our first adventure had previously taken us to Margate – its golden sands lying at the opposite end of the country (soon followed by trips to Norwich, Durham and Dartmoor). 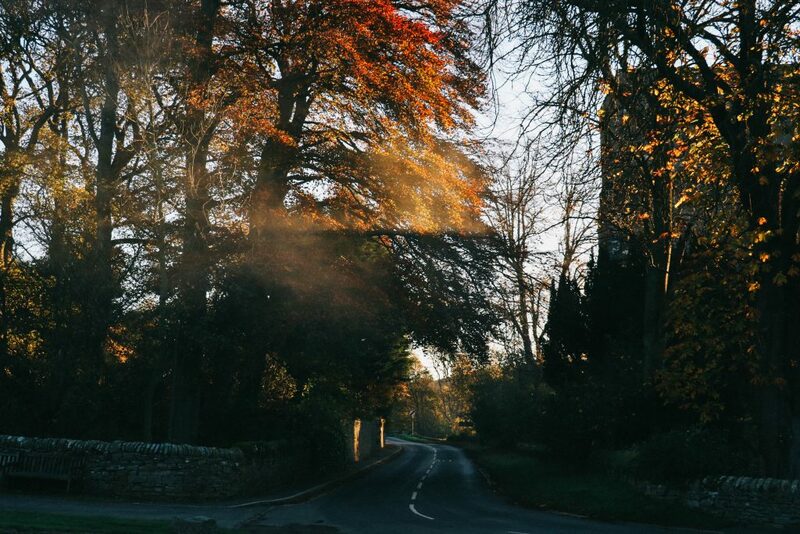 Despite my concern that we were half way to the land of lions, witches and wardrobes, we eventually pulled off the A1 and into Northumberland: the autumn sun shining overhead as we drove through Alnwick. 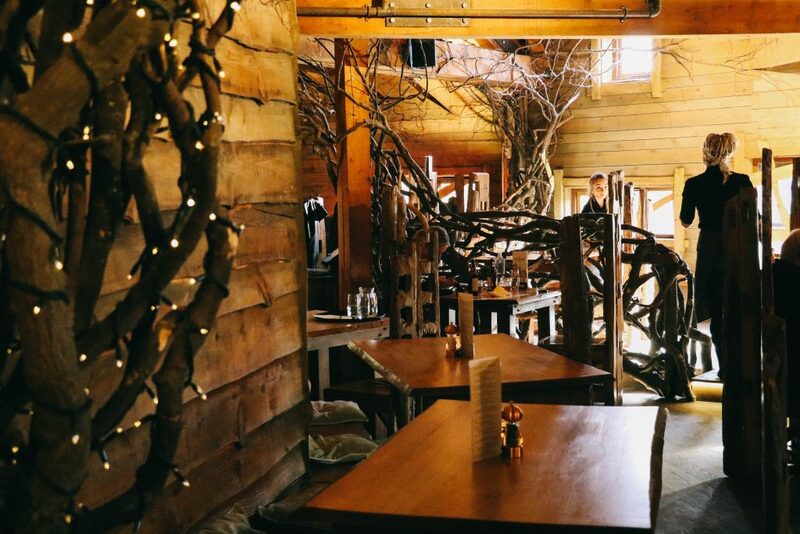 Not only the county town, beautiful Alnwick is also home to the second largest inhabited castle in England, and – perhaps most magically – boasts one of the UK’s most beautiful restaurants: The Treehouse. A visit here is surely one of the more unique things to do in Northumberland. 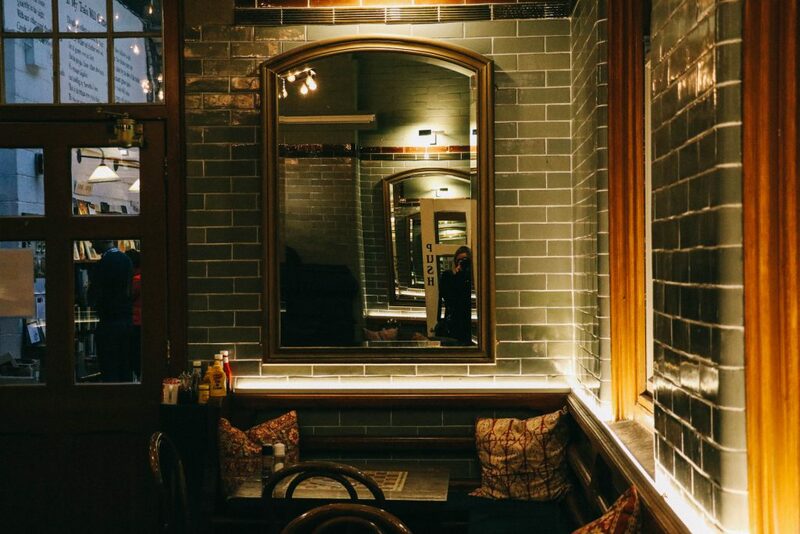 Pushing through the restaurant doors – our tummies complaining about the lacklustre breakfast we’d had at the Little Chef somewhere between Lincoln and Leeds – we were met by a roaring log fire, twinkling fairy lights and twisting branches rising through creaking floorboards. 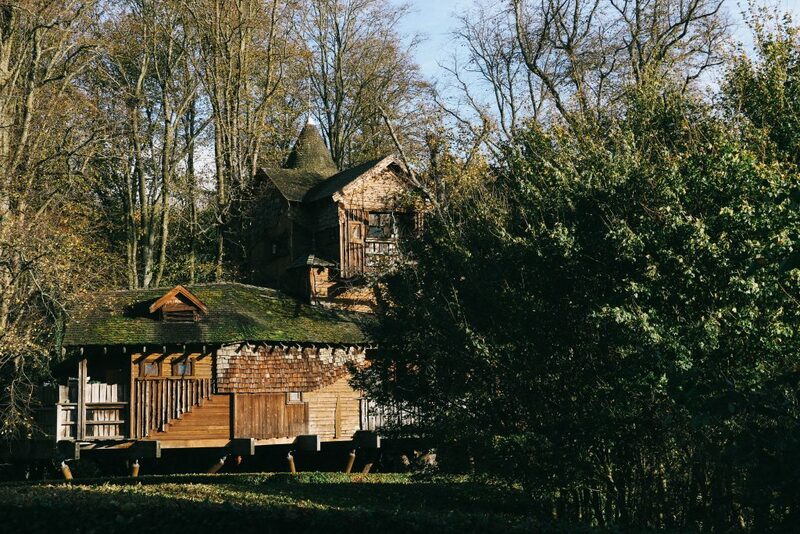 It was an idyllic autumnal hideaway. Settling by the fire, we enjoyed locally sourced Alnwick beer, chestnut gnocchi and sticky toffee pudding. As we quickly came to realise, good food, log fires and cosy backdrops would come to be Northumberland’s signature piece: its very own hallmark. Despite its unique location, a meal here is very reasonable – with two courses costing £30.50, and three courses costing. £37.00. Climbing the hill to Alnwick Castle – home to the Duke of Northumberland’s family for over 700 years – deep red leaves crunched underfoot. Gazing up at the Castle, I had the distinct feeling that I’d been here before. As we passed through the Castle’s impressive entrance, The Lion Arch, I briefly considered that perhaps I’d been a medieval princess in a former life; gliding around Alnwick in high quality furs and golden threads. I was evidently experiencing flashbacks to some sort of past life. Yet, before I could tell Laura about this revelation, we were told that a location tour was about to begin. We quickly scurried over to join the group of fellow visitors. 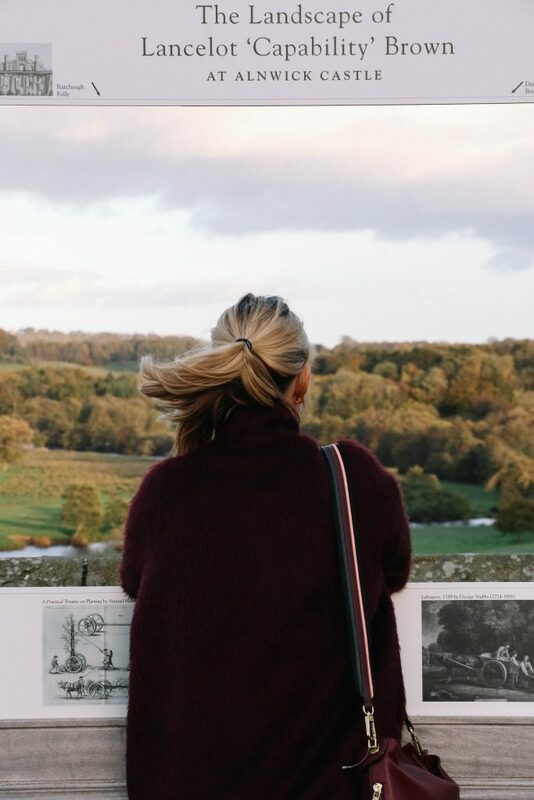 “Alnwick Castle has played a starring role in a small, mostly unknown franchise called Harry Potter”, our guide declared coyly: “Have any of you heard of it?” The idea of my regal past life quickly dissolving, I shot my hand in the air; elbowing a small child in my excitement. I realised that although I hadn’t visited Alnwick Castle before (and nor was I a reincarnated princess), I’d most certainly seen it on film. 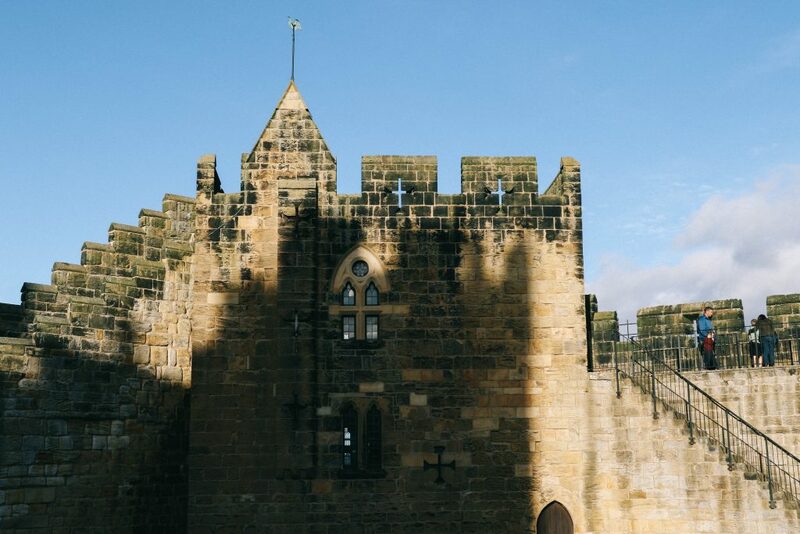 As our guide explained, Harry Potter and the Philosopher’s Stone was filmed at Alnwick Castle in 2000, shortly followed by the Chamber of Secrets. The Outer Bailey section of the castle was used as the area in which Harry and his fellow students learned to fly their broomsticks, and also where Harry learned the rules of Quidditch. As we gazed across the castle, it was all too easy to imagine Hogwarts pupils scurrying to and from their lessons. 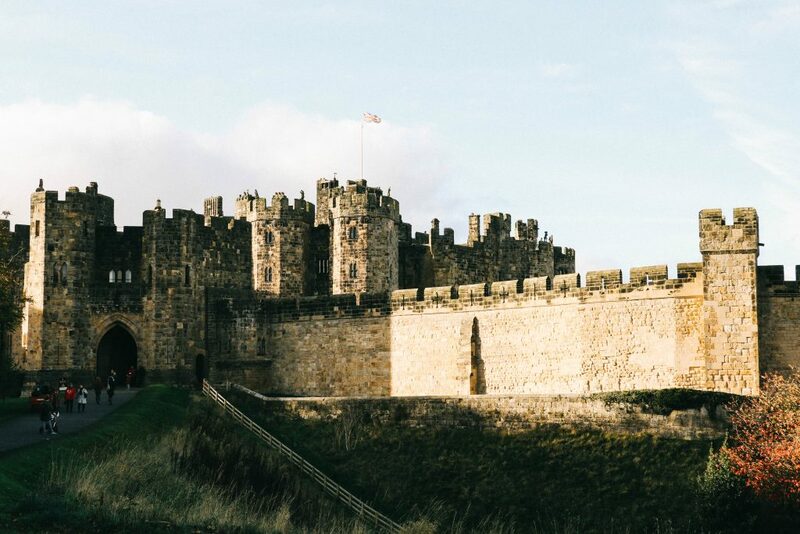 Aside from Alnwick’s starring role in film and television (including cameos in Blackadder, Downton Abbey and, most recently, the Transformers), Alnwick has its own colourful history. Still home to the 12th Duke of Northumberland (who was in fact preparing to move back to the castle the weekend we visited), Alnwick was also once home to the infamous Sir Harry Hotspur – a late-medieval English nobleman who would later become a prominent character in Shakespeare’s play: Henry IV Part 1. Who knew it was home to such celebrities? If you’re looking for a unique thing to do in Northumberland (particularly for children), then this is it. Gliding across the grass of the Outer Bailey, a broomstick between my legs, my teacher shouted words of encouragement. Letting out a goofy shriek, I jumped proudly into the air, lifting the head of my Nimbus 3000 skyward. 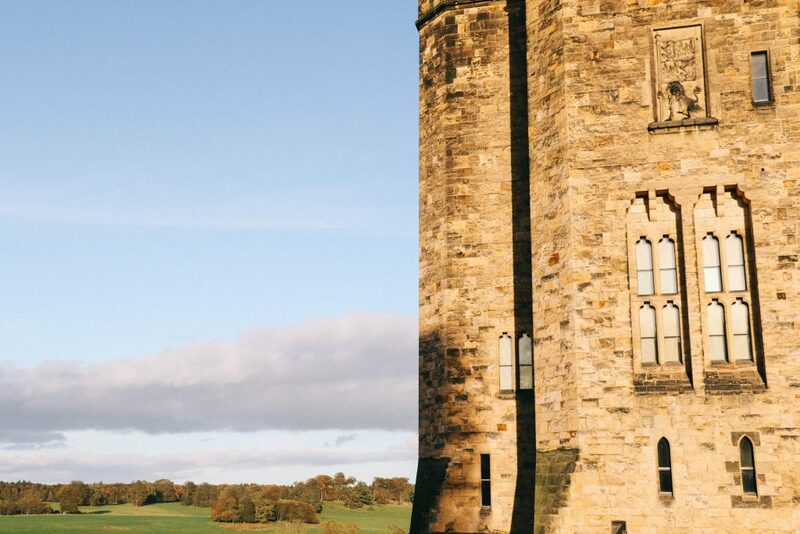 Offering daily classes that run every half an hour, it seemed incredibly rude not to take up Alnwick Castle’s offer of polishing up on my broomstick skills. Indeed, where better place to get involved in an imaginary game of Quidditch? Having circled the castle several times (alas, still on foot), I breathlessly handed my flying equipment back, looking up at the sky above me: dusk was closing in and the evening stars were beginning to twinkle. It was the perfect time to end our visit to this bewitching castle. The Broomstick Training sessions are free, whilst entry to the Castle is £14.40 for adults, £7.65 for children, and children under five receive free entry. Full of fresh air and hocus pocus, we left the castle revived: heading to our final stop of the evening, the magical Barter Books. Housed within a converted Victorian railway station, we drew up at the famed bookstore as twilight fell; chimney smoke rising high above us. 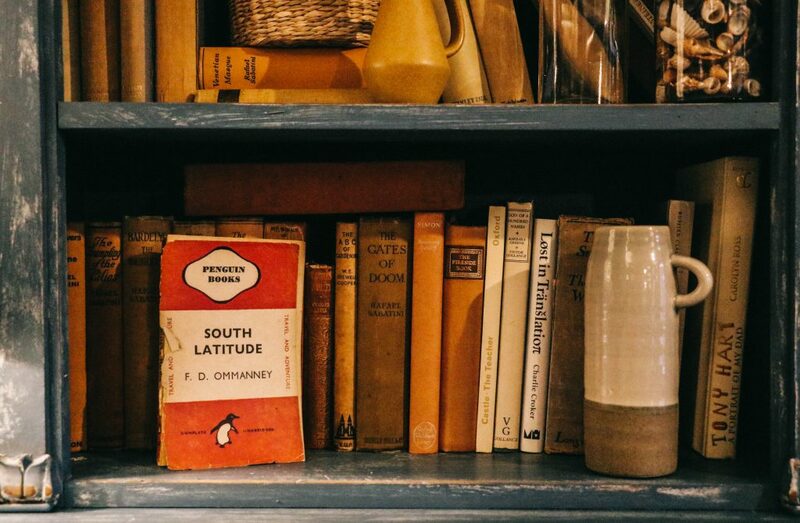 One of England’s largest second-hand bookshops, housing over 350,000 books, Barter Books is home to crackling fires, creaking armchairs and a model railway that rumbles overhead. 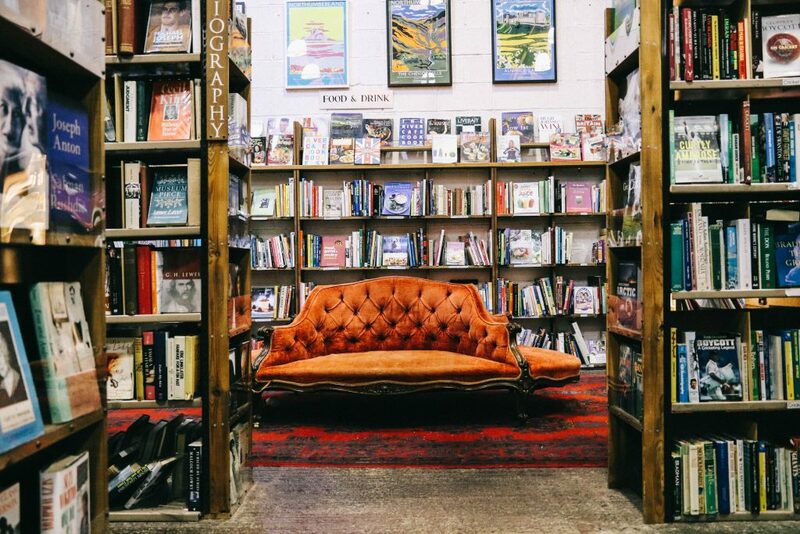 As you may have guessed, this is not your average bookstore, and an entirely free thing to do in Northumberland. Opened in 1991 by Mary Manley, Barter Books was (and still is) based on a swap system of exchanging your old books for new ones; hence its name. Quickly gaining notoriety, the New Statesman once referred to it as ‘The British Library of secondhand bookshops’. We could understand why. We soon took off into the depths of this bookish paradise, passing a Labrador fast asleep by the open fire. Next to him, steaming cups of tea sent little plumes of mist upwards. Having scoured the travel section, I leafed through pre-loved books whilst settled on an equally worn, but unimaginably cosy, armchair. 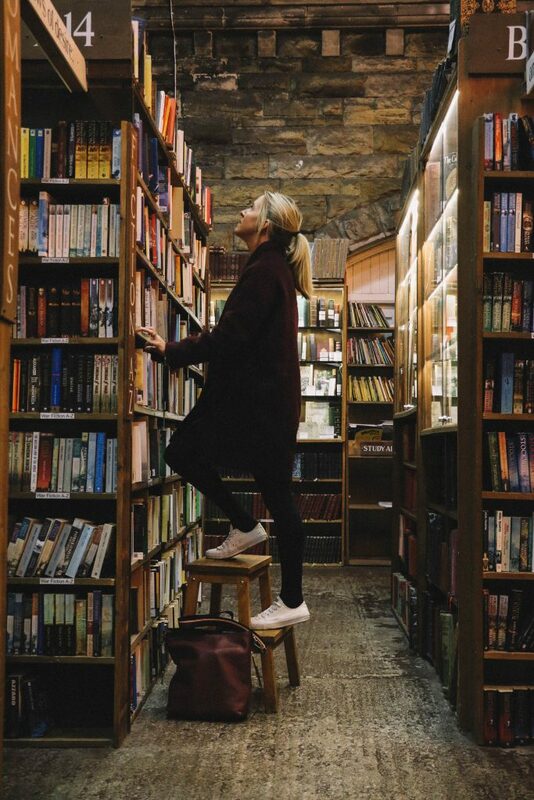 Fully aware that true bookworms could easily lose a day in this store, Barter Books is also home to the impeccably designed ‘Old Waiting Room’ restaurant, which offers delicious food for those unable to leave this bibliophile’s dream. Now proud owners of a new, eclectic collection of books, we reluctantly left Barter Books ready for the equally cosy The Cookie Jar hotel. A new kid on the block having only opened 4-weeks prior to our arrival, this self- declared ‘cosy retreat’ is nestled in a one-time convent, in the centre of Alnwick. 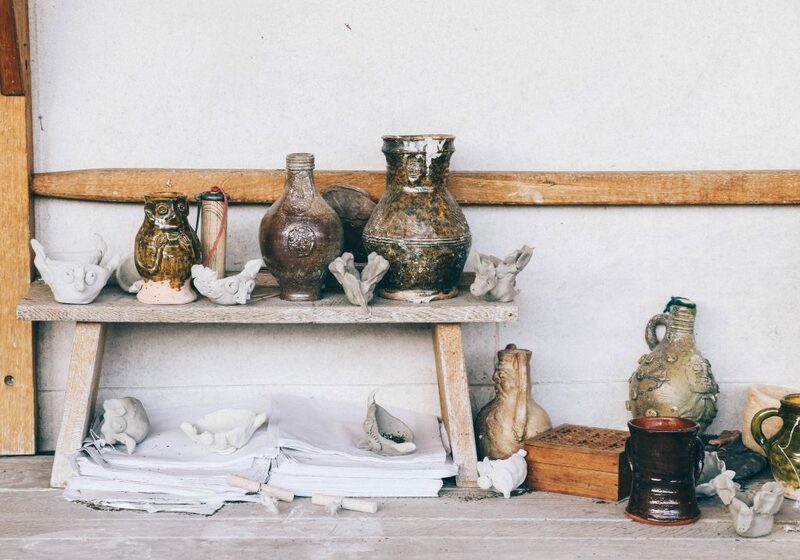 With the smell of paint still fresh and glowing lamps welcoming us, our happiness peaked. We were beginning to wonder if perhaps we were right all along: Northumberland was indeed Narnia. 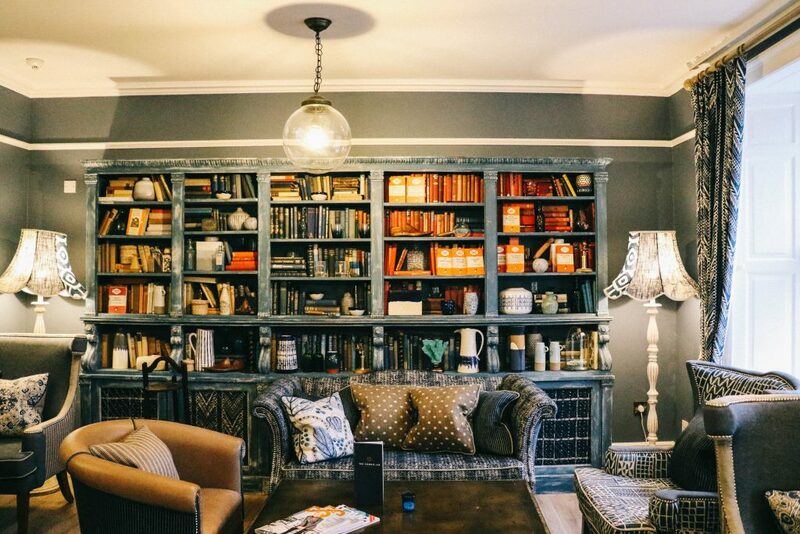 The rest of the evening was spent reading our ‘bartered’ books in the hotel’s snug whilst (of course) helping ourselves to the many homemade cookies that were served to lucky guests. 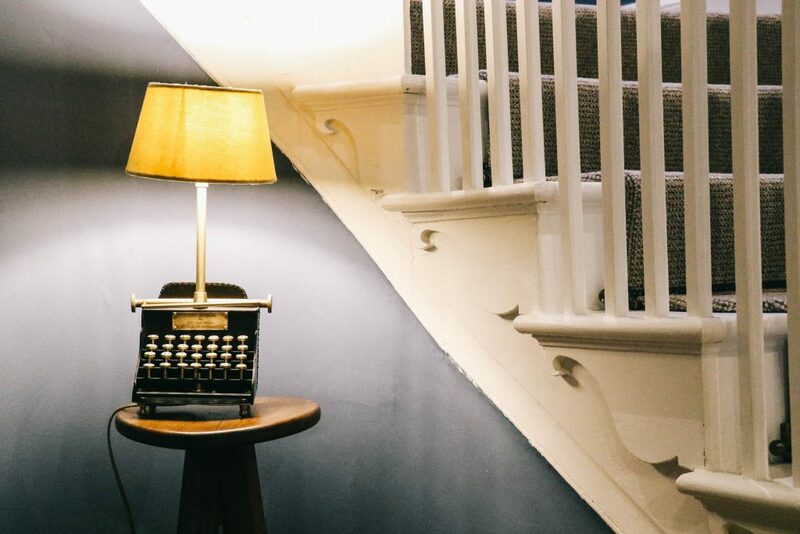 Prices for a double room at The Cookie Jar (mid-week) begin at £147, including breakfast. Waking up early – dawn illuminating the castle’s turrets outside – we ventured downstairs to fill our bellies with the delicious, locally sourced food offered by The Cookie Jar. Dining on smoked kippers caught down the road at Craster, we plotted the day ahead. 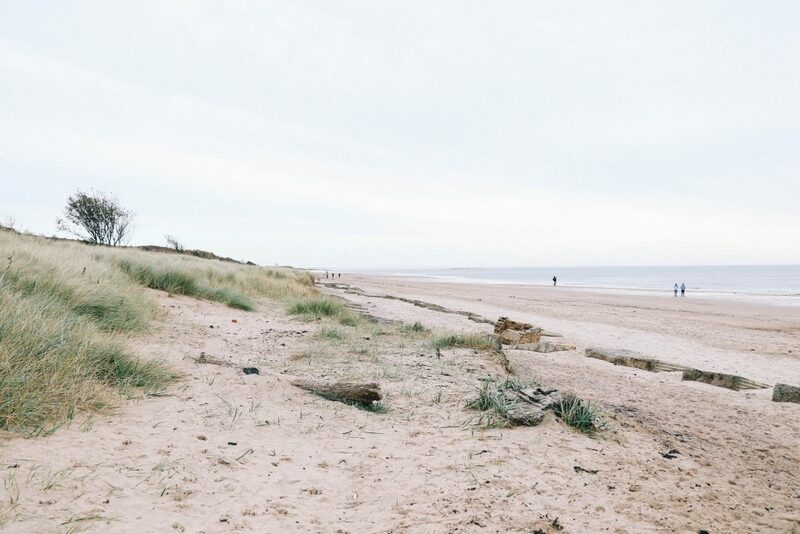 Browsing a list of the many things to do in Northumberland, we settled upon a trip to the region’s spectacularly beautiful coastline; beginning with a trip up the road to Alnmouth. As we weaved our way down the quiet country lanes towards the seaside town, Laura read aloud the story of Alnmouth. It was a fitting tale for this windswept part of the country. Once a prosperous trading port both internationally and nationally, Alnmouth’s luck changed dramatically one fateful Christmas Eve in 1806. A winter storm hit this little town so violently that it shifted the course of the river; cutting off the port and its ability to trade. Poor Alnmouth was stranded. Wandering its sleepy streets – multicoloured homes dotting the river Aln estuary – it was difficult to imagine Alnmouth as a busy port. Stepping onto its immaculate beach, we spotted a perfectly built sandcastle amongst its golden sands; the waves of the North Sea lapping at our feet. Looking across at this stretch of untouched coastline, I wondered if the storm of 1806 might have been a blessing in disguise for this peaceful, seaside town. Having photographed every inch of this pretty coastal town, we decided that a cup of tea was in order: a cup of Earl Grey Tea to be precise. 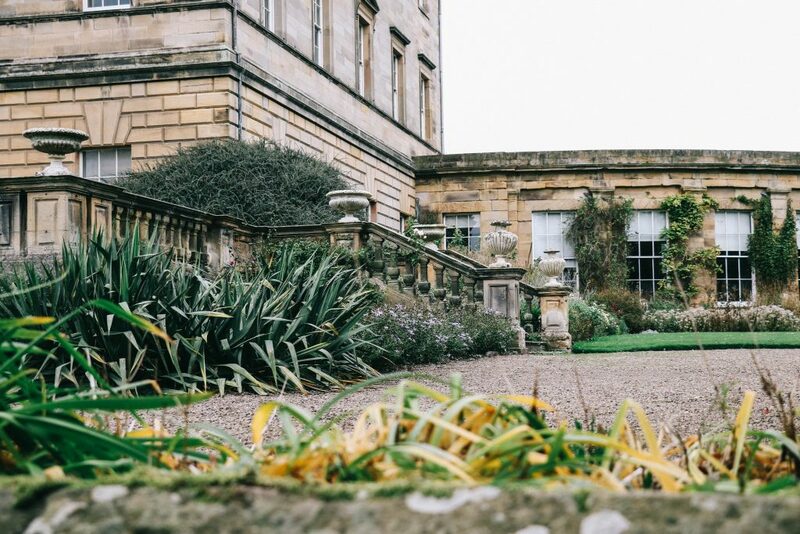 Conveniently, just 20 minutes on from Alnmouth sits Howick Hall Gardens, the former home of Charles 2nd Earl Grey: both one-time Prime Minister and the accidental creator of Earl Grey tea. I briefly wondered if Blair or May had tried their hand at tea blending. Gazing out the large, sash window that framed the cosy tea room at Howick Hall, we sipped our tea and watched the leaves from the large maple tree scatter like confetti across the manicured lawns. Blended especially to compliment the water found at Howick Hall, it is said that Earl Grey tea was created by a Chinese Mandarin, who used bergamot oil to offset the lime found in the local water. The Grey family were delighted. Excited by their discovery, Lady Grey shared the brew with her friends in London, something that would lead to its eventual discovery by tea connoisseurs, Twinings. Unfortunately for the Grey family, however, they failed to trademark this much-desired concoction, therefore making not a penny from its global success. I wondered if these days, their special recipe left behind a bitter taste in their mouths. If it were me, I’d be swapping to an English Breakfast blend. Having warmed ourselves with copious amounts of tea, we spent the rest of our time at Howick wandering its 65-acre gardens, even paying our respects to Earl Grey at his resting place on the estate’s private church. According to our guide, the gardens come into their own in summer (although the autumn colours were beautiful), and we agreed we’d return next year with our green-fingered Mum in tow. 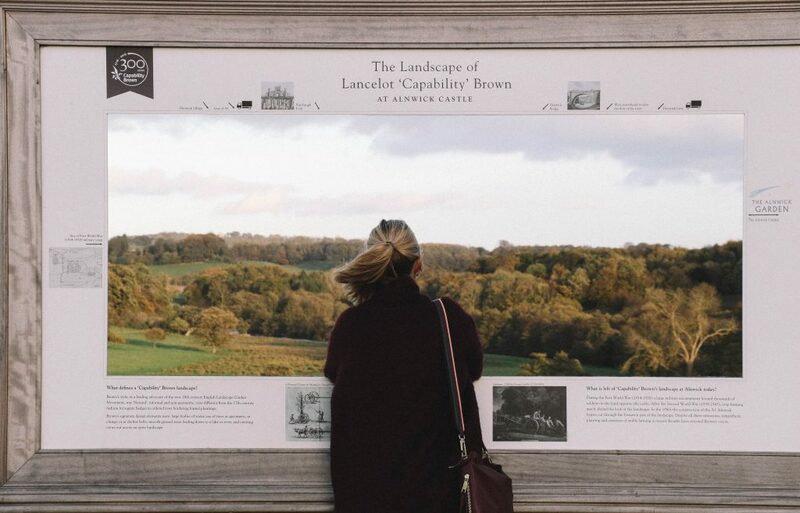 A visit here is a truly lovely thing to do in Northumberland, and an activity that is entirely affordable, with entry costing £8.80 for adults and children going free. High on caffeine, we set off in the car once more, this time heading to Bamburgh Beach: a short 30 minute drive north. A real advantage of driving this county is experiencing its coastal roads and as we veered along the winding paths, spray from the waves hit our windscreen. It was wild, rugged and stunning. “Ready, steady, sand surf!” an excited voice yelled as we rounded the corner. Perched at the top of the perfectly golden dunes, a crowd of shrieking children dived downhill; sand spraying in all directions. 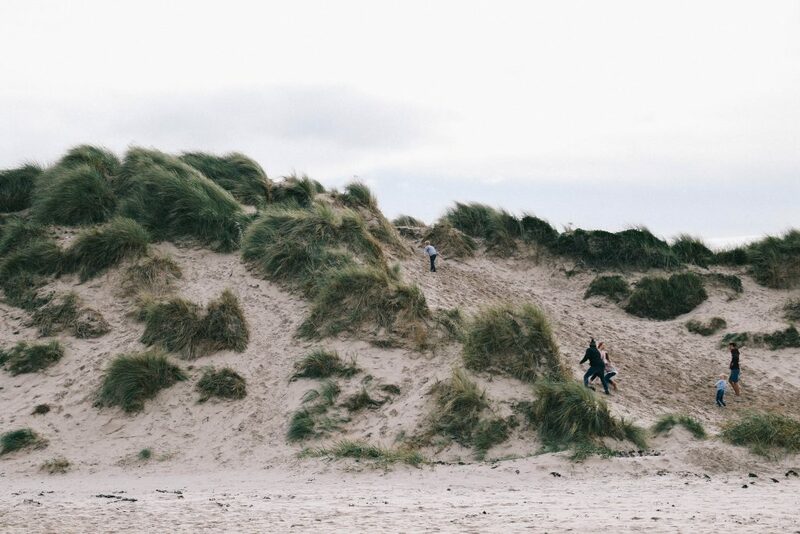 Bamburgh Beach, it seemed, was no secret – a day here proving one of the more popular things to do in Northumberland. Glancing ahead, we spotted a clue as to why this stretch of coastline was so famous: its looming castle. 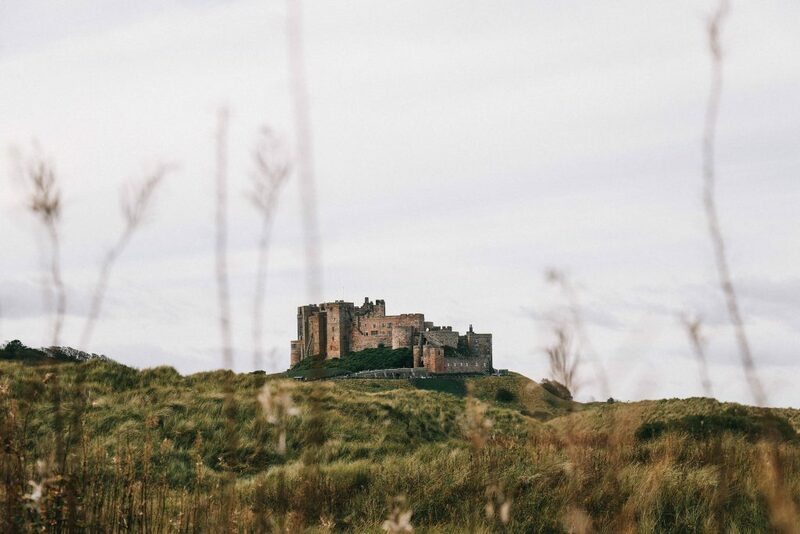 Once home to the ancient kings of Northumbria, the 6th Century Bamburgh Castle is worth a visit in its own right, with archeologists still working on the site due to its rich past. 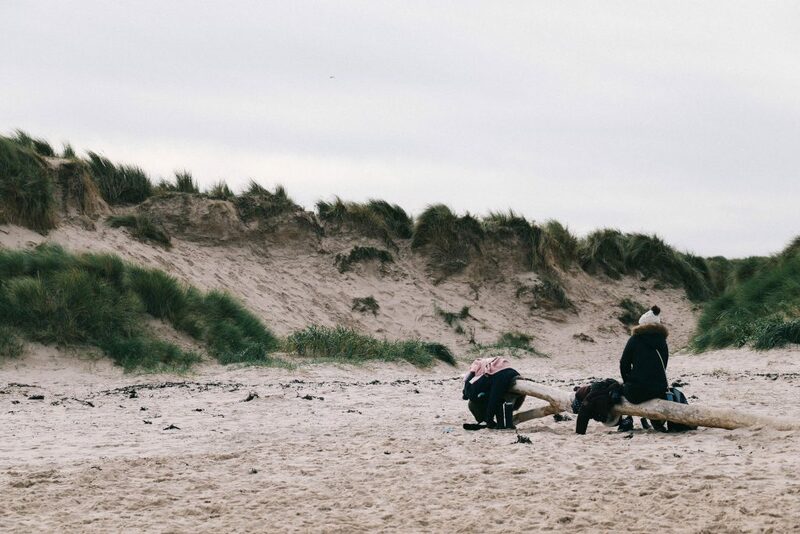 If ‘Time Team’ style finds are not enough to entice you here, then the beach is also home to the Inner Farne Islands, which were once home to a gaggle of soul-searching hermits and monks. Today, it’s a prime spot to spy seals and seabirds, including the beloved puffin. One of the more unique things to do in Northumberland, a trip across to the Islands is uncomplicated and affordable. Boats leave from the Seahouses Harbour, and once at the Islands, entry costs £7.35 for adults and £3.70 for children. Gazing out to sea, I considered life as a hermit on these mysterious islands. In today’s frantic society, it seemed quite an appealing prospect. 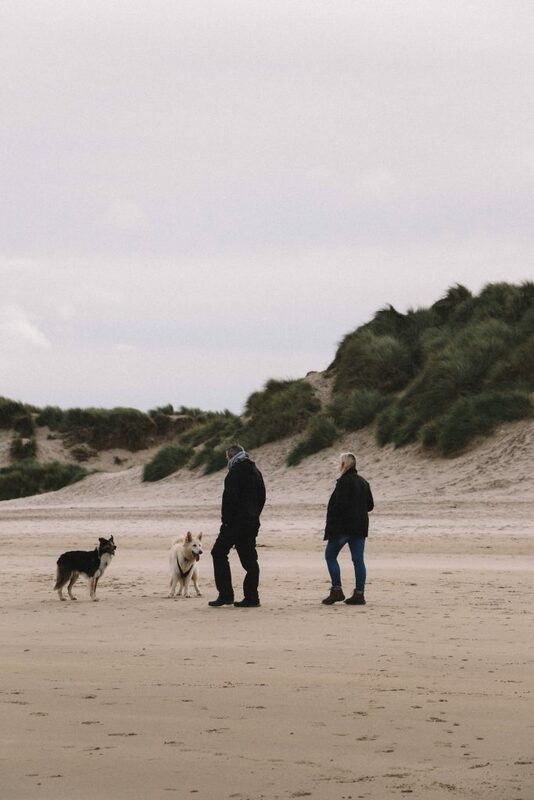 Our time at Bamburgh was spent doing what most visitors do: enjoying a blustery walk along its sugary soft sands; the sky stretching out ahead of us almost infinitely. It is the most beautiful place for a walk and a prime example of Northumberland’s famed coastline. Having had our fix of salty sea air, it was time to head inland: the depths of the Northumberland National Park beckoning. This was an adventure I’d been excitedly anticipating since our arrival. Walwick Hall, an hour and a half drive south-west, was the perfect spot for two windswept girls looking for warmth and food. 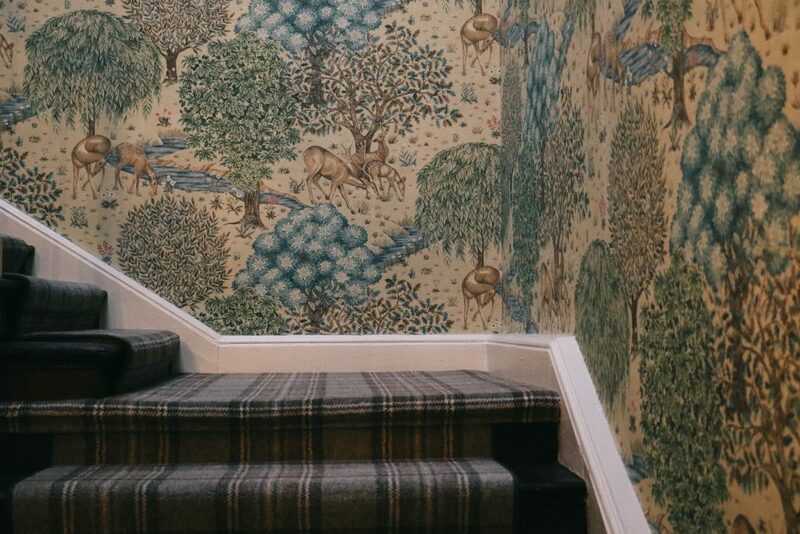 A countryside hideaway, Walwick Hall is a Grade-2 listed building set on 100 acres of stunning Georgian gardens. It also happens to offer a decadent Northumbrian Afternoon Tea, promising a ‘north-east twist’. We were intrigued: surely this meant more than someone simply pronouncing ‘scone’ with an accent? ‘I’ve never felt so comfortable’, I yawned, as Laura and I collapsed onto one of Walwick’s huge sofas. Next to me, a glass of Prosecco bubbled away, as a roaring fire warmed my feet. Our Northumbrian Afternoon Tea, complete with ‘mini stotties’ and ‘northern savouries’, was the perfect antidote to blustery coastal walks and tired feet. It was hard to imagine ever finding the energy (or inclination) to move from the sofa. 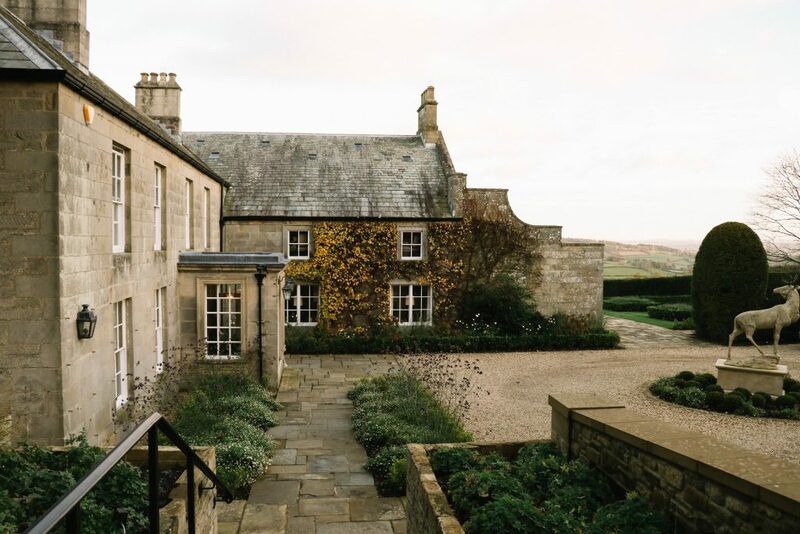 For those looking for an indulgent treat whilst visiting Northumberland National Park, Walwick Hall is a must. To make the prospect of leaving even harder, a luxurious spa is also available on site, offering a long menu of Elemis treatments. 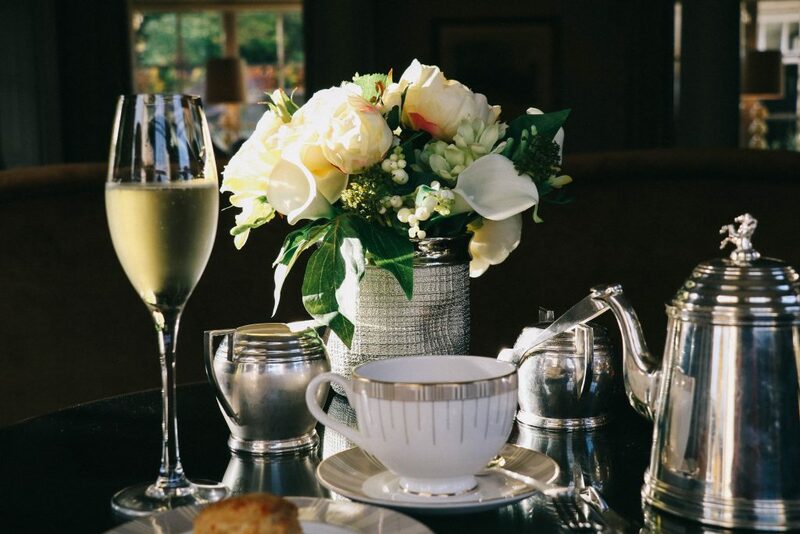 Afternoon tea here begins at £23.50 per person (Prosecco and cocktails not included). Having reluctantly left Walwick Hall behind, I carefully steered the car through the narrowing lanes that led to our home for the night: the Lord Crewe Arms. 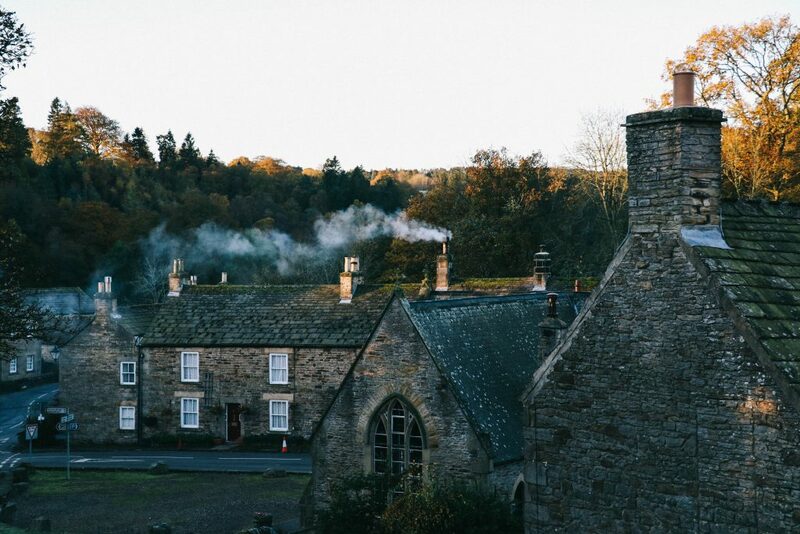 With Laura now sleeping off her afternoon tea, the car fell silent as I pulled into the small village of Blanchland: wood smoke curling up into the sky above me. We had arrived in chocolate-box village heaven. 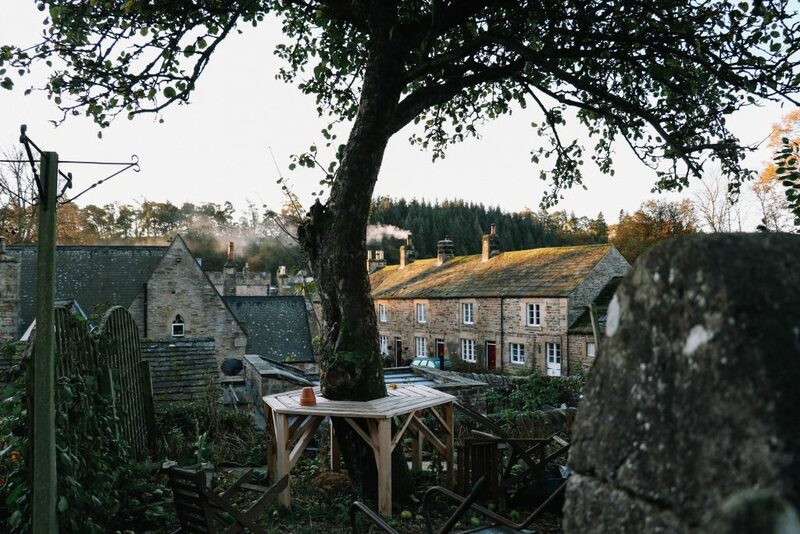 Blanchland is something of a fairytale in its own right. Nestled in an area of natural beauty, it is built from the bricks of the original 12th-century Abbey that once stood in this sleepy spot. In 1165, Blanchland Abbey was founded to house the White Canons of the Roman Catholic order’s priory; the Lord Crewe Arms forming the Abbot’s lodge, guest house, kitchens, dining rooms and gardens. Unfortunately, the monks fled the moors in 1539, leaving behind the buildings and its name ‘Blanchland’ (Blanch meaning ‘white’ in French). It was one of these deserted buildings that we were lucky enough to be spending the night in. Dinner that night took place in one of the hotel’s medieval dining rooms, complete with sloping wooden floors and flickering candles. The menu, featuring more north-westerly twists, was delicious, and included locally-sourced foods from wonderfully named places such as ‘Peter’s Plot’ and ‘The Tomato Stall’. Afterwards, we enjoyed a drink in the medieval vaulted room that now houses the local pub – The Crypt – as yet another ancient fireplace warmed our feet. Even if you decide not to stay here, a visit here for a spot of lunch is an unmissable thing to do in Northumberland. Eager to absorb as much as we could of this idyllic bolt-hole, we got up early the next morning as the mist lingered over Blanchland’s sleepy lanes. Our breath casting foggy spells into the air, we explored the hotel’s beautifully kept garden (once the cloisters of the Monastery), admiring the vegetable patch and vibrant collection of flowers. With the sun shining and little lambs trying to push through the fence, I realised that this was perhaps one of the most special properties I’ve ever stayed at. Double rooms begin at £147.00 and include a full Northumbrian breakfast. Despite it nearly being time for us to begin our (long) journey home, we decided to squeeze just one more stop in before leaving this special corner of England. The Sill: National Landscape Discovery Centre sits in the delightfully named village of ‘Once Brewed’, inside the Northumberland National Park. As the Park’s newest visitor centre, The Sill’s crowning glory is its grass roof that offers panoramic views across the surrounding moorland. Walking across the roof – a deep, thick mist drifting over the hills – we decided then and there that despite being wholly unprepared for a hike, we couldn’t leave this magical part of Northumberland without one final exploration. With the help of a handy guide, we plotted a gentle hike to one of Northumberland’s most iconic spots: The Sycamore Gap. Tree of the Year 2016, and the most photographed spot in Northumberland, The Sycamore Gap sits in a dramatic dip next to Hadrian’s Wall. With such glowing credentials, this was a sycamore tree we were eager to visit. Assured by our guide that this was a relatively short hike, we set off into the wilderness as hesitant explorers; praying the walk turned out better than our Duke Of Edinburgh Bronze Award ordeal (a story for another time). Much to our relief, there were plenty of cheerful families and excited dogs along the way; Hadrian’s wall providing a comforting constant as we climbed and descended the volcanic ridges. 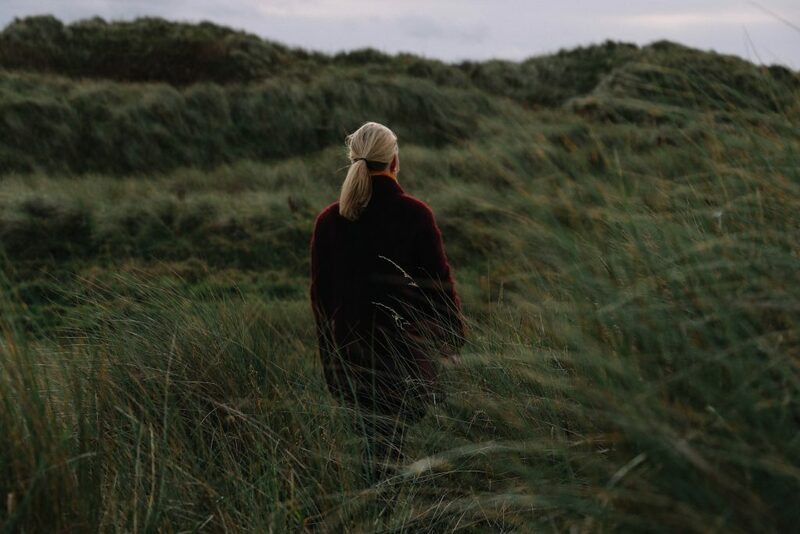 Hiking the Northumberland National Park is an absolute must for any visitors to this glorious part of the world, allowing explorers to experience the cleanest rivers and darkest skies in England. Indeed, fantastic stargazing opportunities are offered across the Park, including at the Kielder Observatory, and offer an incredibly exciting thing to do in Northumberland. 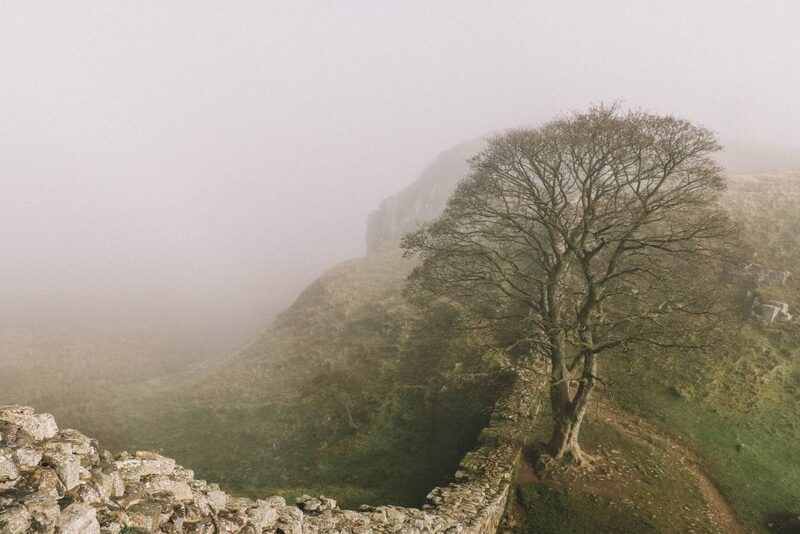 Looking breathlessly down at the Sycamore Gap some 45 minutes later – the mist intermittently revealing the tree’s twisting branches – our suspicions were confirmed: Northumberland was indeed Narnia. As the fog swirled amongst the lonely Sycamore’s branches and the watery autumn sunshine cast a soft glow across the hills, I watched as Laura picked her way down the ‘gap’: her now tiny figure disappearing behind the tree’s giant trunk. It was an other worldly scene, and one that confirmed why we had so enthusiastically accepted the ‘job’ as Visit England Ambassadors just a few months earlier. Reluctantly leaving our very own fairytale world, we returned home with stories of a corner of our country as diverse as it is beautiful. Northumberland is a county of extremes: from windswept beaches to misty moorland; crackling fires to starry skies, it offers as much variety as several countries combined. And the good news? This only gives us all the more reason to keep coming back. Listen to our Northumberland podcast here. Wow! Absolutely loved this story about your adventures in Northumberland. Sounds like a truly delightful trip and another place I’d love to visit on our next trip to England. Thank you Brian! Another one to add to your list! 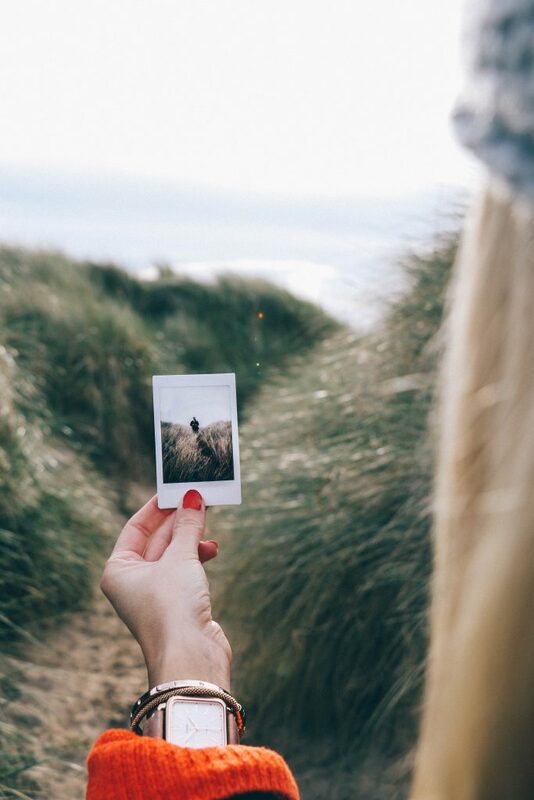 Beautiful post and some gorgeous photos to go with it. Having grown up in Cumbria, Northumberland was the place for many day trips in the school holidays so has a special place in my heart. Never been to Walwick Hall so that sounds worth checking out! 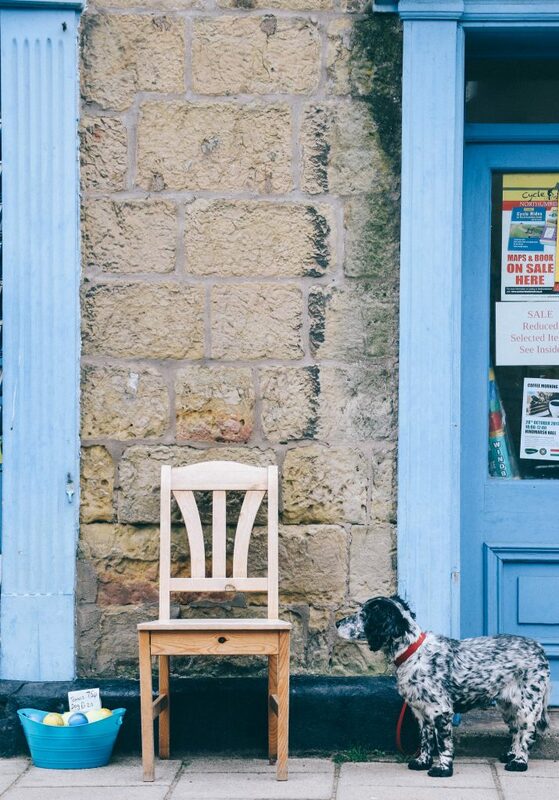 Barter Books is one of my favourite places, especially as they are dog friendly. Next time you head up I can recommend a visit to Cragside, and a boat trip to the Farne Islands. My mom and dad are visiting Northumberland for the second time this year; after hearing your podcast and reading this I’m wondering if they want to take their beloved daughter with them! Definitely on my staycation list now, thanks Clare and Laura! Eeee! Let us know if you’re successful in hijacking their trip. It’s so, so beautiful and more than worth a visit.